Each paddle is imagined by an actual pervert, then CAD-designed, CNC-milled, and hand-finished. Cut from acrylic or polycarbonate sheet stock, each design has been thoroughly tested for durability. All of our paddles are easily sanitized with mild soap and warm water. 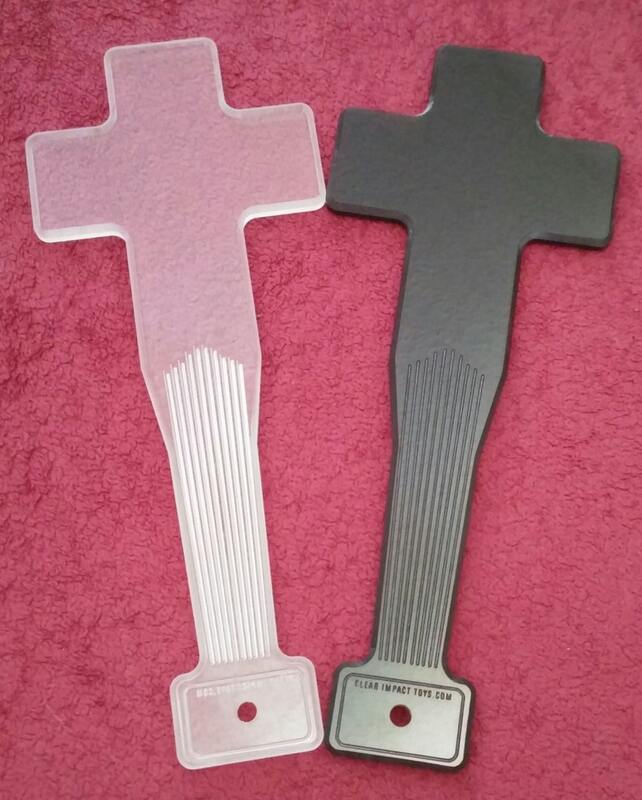 These cross-shaped paddles are beveled on both the front and back. They have hand-sanded edges that give a satin-like finish. The handle texture is a standard feature of this design. Available in both optically clear acrylic and clear smoke acrylic. 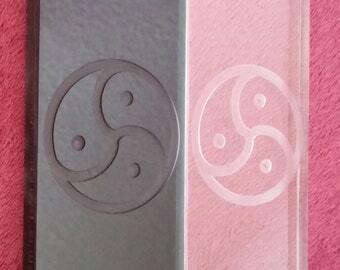 If you'd like custom engraving, please click "ask a question" and get in touch with us! We love custom orders and want to make something you'll love! Super sting-y, a great addition to My toy bag!